I just Installed the Ubuntu 10.04 and i am impressed with the functions and stuff. 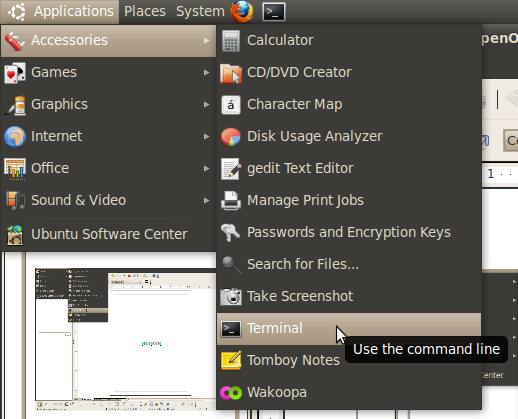 So while installing, i thought maybe i can post some quick howto’s for the new Ubuntu users. 3. Enter this command sudo apt-get install apache2 and press enter, Terminal will ask for authentication, so just type your password and hit Enter. Apache is now installed on your Ubuntu! 4. 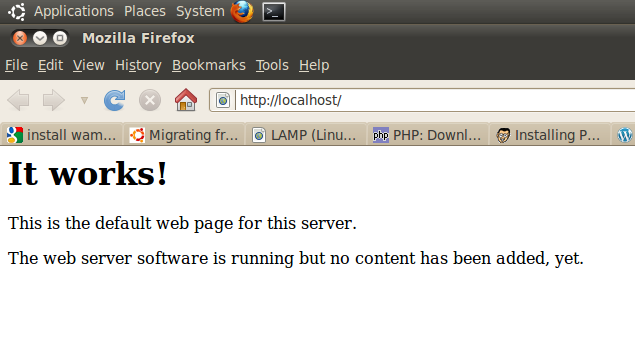 Now we have to check if the Apache is working properly, so open Mozilla Firefox and type http://localhost in url area. If it says “ It works!” then its done.